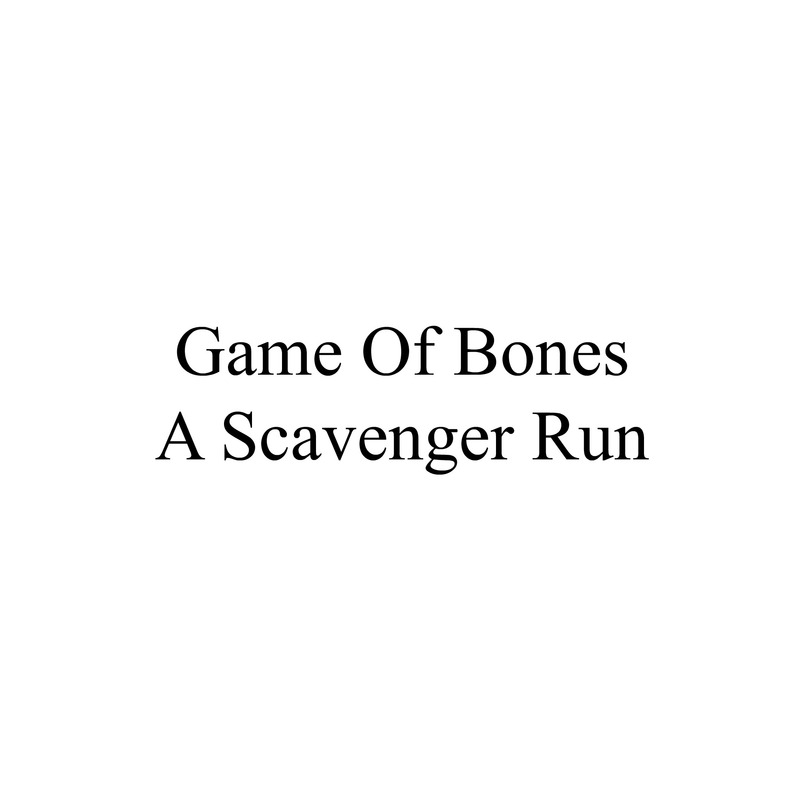 A scavenger-like fun run! Receive the checkpoint map and plot your adventure. Run or walk for tickets. Head back to Road Runner Sports, grab some food and beverages, and a chance to win awesome prizes. $12 per registration. All proceeds benefit Georgia English Bulldog Rescue. Check In at 10am. Hunt starts at 10:30am. 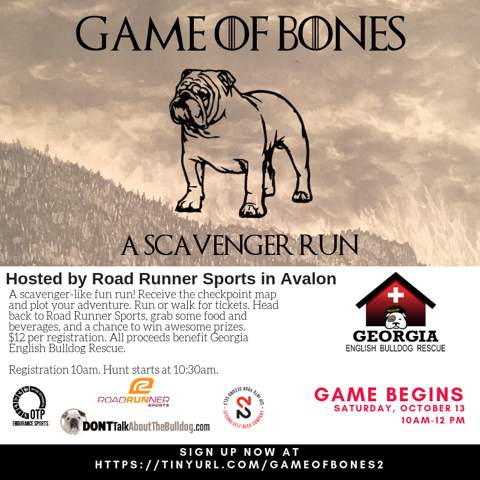 Road Runner Sports offering all participants exclusive savings AND donating 10% of proceeds during the event to Georgia English Bulldog Rescue. Everyone WINS! Thank you Second Self Beer Company and donttalkaboutthebulldog.com for sponsoring our event. Additional sponsorship opportunities are available. Please contact lee@georgiaenglishbulldogrescue.org for more info.